While finishing my book, Our Family Business, I noted how meticulously the publishers looked for and closed unintended gaps within the text during their final edits. Most of these gaps were tiny and invisible to the untrained eye. Nonetheless, in a book with hundreds of pages, closing these gaps significantly reduces the overall page count of the book, (a plus for any publisher). Similarly, with the efficiency of expert editors, bhakti yogis attentively search for and close gaps of idle time in their daily lives. 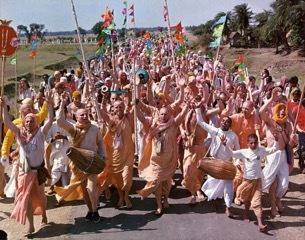 In the course of a lifetime, such vigilant bhakti yogis stockpile extra hours, days, and even years, which they invest in the journey back to the spiritual world.